A new issue of The M.O.S.T. magazine dedicated to art was presented in the Pullman Baku Hotel on March 13. The event became a part of the global initiative of the Pullman hotel chain aimed at creation of strong links between the Pullman hotels around the world and the world of art. The main target group of the Pullman Hotels are business people who have no free time to visit museums and this initiative gives them an opportunity to see pieces of art within the hotel. The event was attended by over 10 heads of foreign embassies accredited in Azerbaijan, owners of large and medium-sized businesses, representatives of high society, artists, art persons, and partners and friends of The M.O.S.T. A private exhibition of outstanding Azerbaijani artist Javad Mirjavadov and his wife Lubov Mirjavadova (Rubaba), who carefully keeps his masterpieces after his death, was organized within the presentation. Many famous galleries around the world have Javad Mirjavadov’s paintings in their collections. The event was supported by the biggest event agency in Azerbaijan Amapola, professional organizer of all types of corporate, private, and mass events at the city and state level; local creative producer of furniture and home accessories Chelebi; and ASPI Winery, founder of Savalan, one of the most famous wine brands in the country. The M.O.S.T. luxury lifestyle magazine is being published in Azerbaijan since 2017. The M.O.S.T. forms a superlative degree in English grammar, which is used to indicate the greatest degree of a particular quality of some subject, concept or phenomenon. The name of the magazine was chosen intentionally because it writes about all the most fashionable, magnificent, exclusive, pretentious, fashionable and aristocratic things. The M.O.S.T. 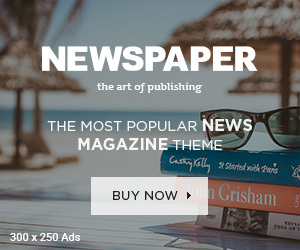 is not just a printed magazine, but a real encyclopedia of the most exclusive information designed to entertain, inform and educate the most sophisticated readers. It is a way to feel and transmit the heartbeat of luxury through words, paper and ink. The new issue of the magazine was dedicated to art and gathered together the brightest Azerbaijani and foreign representatives of the art sphere.